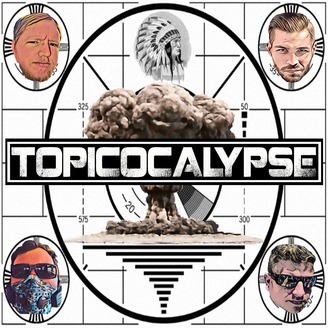 A podcast where we discuss anything, everything, and nothing all at the same time. Real news, fake news, it's hard to tell the difference these days. Who do you trust? Who is unbiased? Is there such thing as being unbiased? 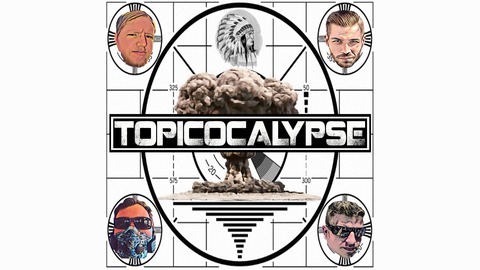 Everybody has an opinion and an agenda, and on this episode of the Internet's only podcast, we're discussing all of the propagandas. Fox News, CNN, MSNBC . . . the 24 hour news cycle has destroyed reliable reporting and we try to figure out why. Do we reach any conclusions? You'll have to listen to find out. This episode of Topicocalypse is brought to you by Miracle Fruit Oil's Vitabrace High Performance Gaming Wristband. Be sure to use the promo code found in our show for an exclusive discount that will save you money on a wristband of your very own! If you like this episode, you can find others on podbean, iTunes, Apple Podcasts, Spotify, Anchor.fm, Google Play, Stitcher and other great podcasting outlets. We would also love if you could like, follow, share, and subscribe to us on all of the social medias. We hope you enjoy!